Late to the party, and thanks for the great info, a big timesaver and will be well-read methinks. To add some info, I've been testing the rx100 on a cheap steadycam gimbal unit (Hague MMC) which I love for the fluid movement and ability to get people very naturally (over a tripod). I've found that keeping Active steadyshot on (rather than turning steadyshot off) to produce the best effects, although this is a compromise. With the Active mode and shutter speed at 1/50th (PAL) when you're panning, the motion is OK (which is where the steadyshot is usually nasty), and when not panning, the presence of the steadyshot gives that little extra stability. I'm also using the magfilter (works well) to add a variable ND filter which enables 1/50 shutter at f1.8 in daylight, which allows some depth of field when shooting yourself or close subjects. I keep the focus on AF-S because I've found that the face-focussing works very reliably in this mode if you give it a few seconds to settle down, including self-filming. The framing can be learned if you keep it wide open. Now the tricky bit! Has anyone tried matching cams with the rx100? I particularly want to set up some profiles which will work with the lovely Canon HV20. The gap between the cine mode (or even Tv mode) of the HV20 an the Portrait -3 -2 -3 setting in the Rx100 is quite big. The Rx100 is still quite contrasty and intense, but does the skin tones well, to my eye. Whereas the HV20 is sometimes billious on the skin tones. Big timesaver ... and good results. I am still searching for settings to match GH3 and RX100...(and GoPro 3 Black with Cineform). I don't own any of those, but I would assume a lot of it is, since they use the same codecs, stabilizing options, etc. new to this forum and very late for the party.. I tried the recommended settings and ended in interlace trouble. 25p project. No visual difference either after export. Be careful, keep in mind that 50i is actually 25p in an interlaced wrapper, but you can deinterlace it easily and get perfect 25p. So you have 50p at 28mbps vs 25p at 24Mbps. Shooting 25p (50i) will give you the highest bit rate per frame. Also, shooting 50p so you can have slow motion in case you need it later is not that simple. Your shutter speed should be set differently depending on whether you're shooting for 25p or 50p, so you might be shooting yourself in the foot! I am very late to this thread. But what you say makes perfect sense to me. Can you just say, what kind of tool you use to deinterlace the 50i video. I am not an expert, so I would like to know what you are using. I am working with vegas video 10. Not sure about Vegas, I think Final Cut Pro X deinterlaces it automatically as you import it, other packages should have a way to interpret interlaced footage upon import, or a simple deinterlace filter. Great read. 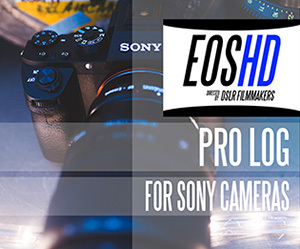 This post has been a valuable resource not just for me, but likely many other RX100 users. I wanted to offer some experience and tips that will hopefully help guide others, especially with LUTs and color grading. I am by no means a pro. I like to make creative use of my skills to in essence "pimp" out my home movies, using cinematic principles. It's a hobby, nothing more. I have done a few weddings and bridal showers etc. for friends. I have been using Sony Vegas for many years. When HD first came out on a consumer level, I got the Canon Vixia HF10. When the RX100 came along, I jumped on the opportunity to have a portable device for better video abilities. I absolutely realize that the quality of high-end DSLR and pro video equipment is more or less superior to the RX100, but that doesn't mean we can't play around with RX and do some similar stuff on a diluted level. I've had the RX100 since February, and recently sold it for the M2 because I wanted native 24p. No matter how much you conform or overcrank, true 24p just looks better. I haven't been disappointed. Even in low light indoors like at a restaurant, the noise is quite bearable, in fact it looks very much like film grain. Other than that, I haven't noticed anything different video-wise between the 100 and 100M2. Import clips into Vegas Pro, set deinterlace to blend --> Do basic cutting and moving of clips --> Batch render the clips as Sony MXF 50Mbit files @ 29.97p along with an .xml --> import the mxf clips and .xml to conform the timeline in Resolve --> color correct as needed --> export clips as Sony MXF --> import back into Vegas, add effects, text, music, blends, etc --> render to completion (I like mp4 @ high bitrate). It seems tedious but in reality Resolve renders much faster than Vegas even with lots of color correction so I'm happy. The conversions from AVCHD to MXF is also very fast, not much transcoding involved and since it is being done at such a high bitrate I don't notice any degradation. Pro cameras that shoot in RAW are easier to color grade because video is not so compressed and has a higher bitrate. 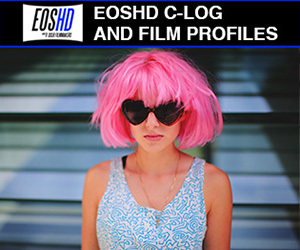 There are many LUTs available for film emulation and other looks. I decided to try and duplicate a flat Cinestyle-like profile for RX100 footage which might be able to have LUTs applied with decent results. Straight out of the camera I've been using pretty much the same recommended settings that everyone else seems to like: Portrait Mode with DRO2 and sat, contrast and sharpness dialed down. The one part I question is whether or not reducing sharpness is a good thing. Most LUTs seem to need log video, but the RX100 by all accounts is in rec.709. I found a LUT that can convert non-log into log. When applied as the first node in Resolve, it flattens the image even more, approaching something very close to "Cinestyle" and other pro cameras. Then as a secondary LUT, you can apply almost anything else and the results are very impressive, all things considered. This gives the footage a very cinematic look. For example, the modern "orange-teal" film look can be achieved with just a few clicks without masking skin tones and applying different layers for mids and highs. Often some basic work with lift and gain in the original is all that is needed to get a great look. I don't want to link the sources for these various LUTs because this is not a sales pitch, but a little googling can get you there. Bottom line, this camera is lots of fun to use because it is so easy to take around. I don't care that the zoom is slow, because who zooms during video clips anyway? DOF is very nice at the wide end. I simply compose most video @ 1.8 so it always looks pretty nice. I use Reelsmart Motion Blur rather than carry around an ND filter in bright light. I also tend to underexpose images because they are easy to correct in post. That is all for now. Hope this can be of help to others. Just as a note, I regret selling it. I wasn't particularly enamoured of the video image or the slow lens, but the convenience and the stabilisation.... top notch. Get the pal version though. Anyone got problems with oversaturation in videomode with the RX100 II? In contrast to stills, all video modes appear to create a colour oversaturation which I donÂ´t have with my other Cyber Shot cameras! I only use the PS 50p mode. I haven't experienced that at all, even when I leave the color settings at 0. Sounds like something you need to look into, or there could be a defect of some sort. Hey all! I want to share this trailer for Sennheiser's Pro Talk Season 2 I shot using a Sony FS7, A7iii and A7sii. Two weeks before the shoot I decided I wasn't happy with my current slog3 workflow and wanted to change it up. 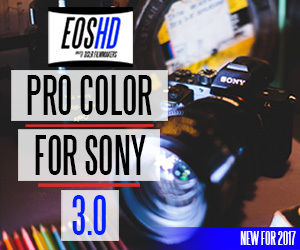 I found Pro Color V3 (at the time, V4 was not out yet) and gave it a shot. I loaded it up on the A7sii and A7iii, barely made a few tweaks to both to match them up, give me a great result and bam. I was sold. I then created a preset in FCPX (yea I edit on FCPX for now) that took my FS7 slog3 footage and popped it into Pro Color V3 matching the other two cameras perfectly. So my new flow is like this, Pro Color on the A7 series cameras and the FS7 shoots slog3, I then match the FS7 to the A7 series cameras in post and work from there. The reason why I needed Pro Color in my life was because I had these beautiful little A7 series cameras but couldn't use them to their full (small) potential shooting slog3. I didn't want to have to tote around an external monitor, etc. There's a lot more to say but I'll leave it at that. Way more to come. Enjoy. Hey all, jumping right in here on the forums to share my work shot using Pro Color! I've come from the Canon world but now love my Sonys. Pro Color was a God-sent and I am fully embracing it! More to come but in the meantime please see this short video of a buddy of mine fishing shot handheld on the new Sony A7iii using a Nikkor 35mm f1.4 ai-s and 105mm f2.5 ai-s. V3 Pro Color was installed on the camera as at the time of filming V4 was not yet out. I applied a Lut of mine, Tenkara, you can grab from my website. Thanks Andrew for making these killer profiles! Looking to sell my Sony F3 Camcorder with a Black Magic Video Assist 5in. The F3 has Slog 4.4.4 enabled. The BM Video assist allows you to shoot 10 bit in 24, 30, and 60fps progressive. Camera has built in ND's. Also allows LUT monitoring. Both are in very good condition. Multi Camera Canon C100 sync solution? Any advice would be somewhat of a relief.